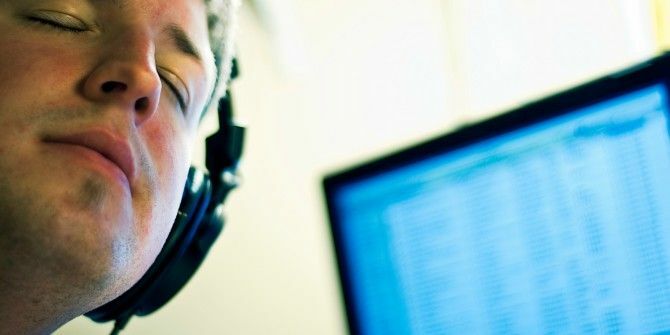 Pandora boasts millions of users, but the vast majority of them listen to the free radio offering. Pandora Radio only lets you influence the songs being played by giving a thumbs-up or a thumbs-down. Which obviously isn’t as compelling as streaming services like Spotify and Apple Music. However, Pandora would like to encourage more free users to switch up to using Pandora Premium Pandora Launches a Premium Music Streaming Service Pandora Launches a Premium Music Streaming Service Pandora is launching an on-demand music streaming service to rival Spotify and Apple Music. The question is can Pandora Premium differentiate itself from the competition? Read More , and it has hit on a way of doing just that. From now on, people using Pandora Radio or Pandora Plus can unlock a free Pandora Premium session simply by watching a 15-second advert. As detailed in a post on the Pandora blog, you can unlock access to a Pandora Premium session in a number of different ways. This includes searching for a specific song, album, or playlist, clicking on one recommended by Pandora, and opening the app via an external link. Doing any of the above will trigger a popup offering you the chance to “Watch a short ad to listen in Pandora Premium”. Clicking on this will trigger an ad, and after 15 seconds, you can click through and play any song you want to on Pandora. Which is the essence of Pandora Premium. It isn’t yet clear how long your free Pandora Premium session will last. However, a Pandora spokesperson told TechCrunch it will “last longer than just a song or two.” Regardless, when your free Pandora Premium session ends you can unlock a new one instantly by watching another ad. Premium Access, as Pandora is calling this offering, is rolling out now to Pandora Radio users (who listen for free thanks to ads) and Pandora Plus users (who pay $5/month to remove the ads) on Android and iOS. Like most other streaming services, Pandora Premium costs $9.99/month. This is a shockingly good initiative. First, it lets anyone who just wants to hear one or two particular songs do so in exchange for watching an ad. And secondly, it gives users a taste of what they’re missing by now signing up to Pandora Premium. Everyone’s a winner, except Spotify Spotify Music Streaming: The Unofficial Guide Spotify Music Streaming: The Unofficial Guide Spotify is the biggest music streaming service around. If you're not sure how to use it, this guide will walk you through the service, as well as offer some crucial top tips. Read More . Do you use Pandora? Do you only ever use Pandora Radio for free? Are you a Pandora Plus subscriber? Or have you switched up to Pandora Premium? What do you think of this idea of swapping ad views for sample sessions of Premium? Please let us know in the comments below! Explore more about: Pandora, Streaming Music. Spotify Premium is still better and worth it. Subscribe to Quicky Techie on Youtube. YouTube is a thing. Small accounts tend not to have ads.